The 2019 FIA World Rally Championship calendar has been finally revealed. 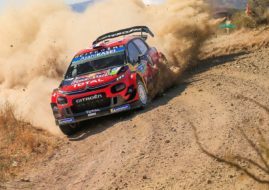 The championship will feature 14 rallies, one more than in 2018, with Rally Chile added as the 14th event to the list of thirteen rallies that are already on the calendar. The championship would be traditionally opened at Rallye Monte-Carlo on January 24-27. Four rallies in Sweden, Mexico, France and Argentina will follow on the same schedule as in 2018. Rally Chile would be the sixth round of the championship, scheduled for May 9-12. Three weeks later, the championship will be continued with Rally Portugal and then the schedule is the same as in 2018: Italy, Finland, Germany, Turkey, Wales/GB, Spain and Australia. The calendar, approved by FIA Motor Sport Council, is the largest since 2008 when the championship had 15 events. In 2009, the number was decreased to twelve and then, since 2010, the championship has 13 events. 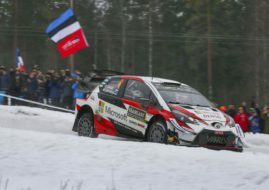 There was an attempt to increase the number to 14 in 2016 but the Rally China was cancelled. Chile becomes the 32nd country to host the WRC since the championship was launched in 1973. The gravel fixture is based in Concepcion and forms the second half of a spectacular South American double-header with Argentina.